Living in a home that draws water from a well may lead to hardness, manganese, iron, and even unbalanced pH levels. Traditionally, if you were experiencing these issues you would purchase three different systems to remedy them. Absolute Water Solutions has the perfect answer. Our TotalCare® conditioners include a uniquely engineered media called Crystal-Right™. Crystal-Right™ reduces high levels of hardness, iron, and manganese while raising low pH levels. To learn more about our comprehensive water conditioning systems, schedule a free estimate today! TotalCare® conditioners are the smart, convenient water treatment system for your home and lifestyle. These conditioners disinfect your system with patented self-monitoring technology. It also uses our exclusive Crystal-Right™ media to soften water while removing unpleasant tastes and odors. They can also correct acidic water conditions to help preserve your home's piping and fixtures. 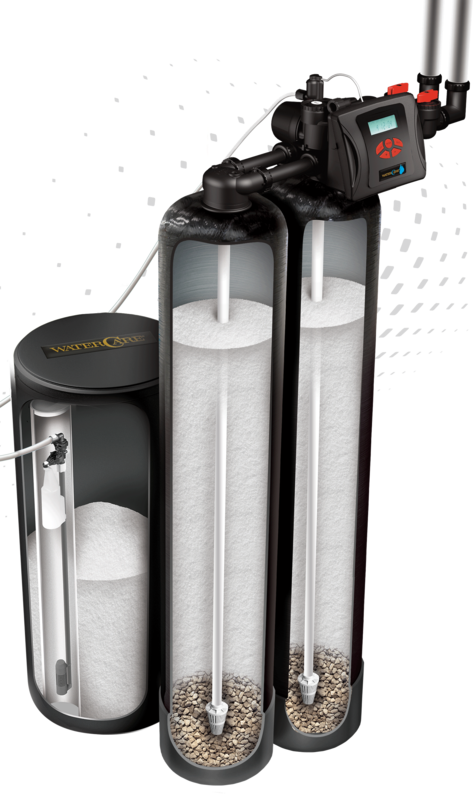 TotalCare® Series Conditioners are also available in our TotalCare® 2 unit. Our TotalCare® 2 conditioners eliminate manganese, iron, and other unwanted minerals from your water. Crystal-Right™ is media capable of filtering iron, reducing hardness, and raising pH levels. This feature comes standard in our TotalCare® Twin Conditioner Systems.